Southland archery is a well-known name in the archery industry, and SAS Courage Recurve Bow is one of the premium edition. The Courage 60 is a sturdy and efficient bow for serious archers. I say it’s a premium edition because they used hardwood (Bitangor, Makore and Chuglam) to construct the riser and the limbs made of maple lamination and fiberglass as like other elite bows across the counter. The SAS Courage Recurve Bow - 60" Hunting Takedown Recurve Archary Bow crafted with comfort and simplicity to keep in mind the folks who want to learn bow hunting as well as the expert archers. It’s designed to offer easy handling, stability, accurate shooting with a terrific velocity which makes it easy to learn and an excellent hunting bow. It allows you to attach the takedown limbs merely with a bolt and an Allen wrench which included in the box. This fantastic wooden bow also come up with a wide range of poundage to facilitate an archer to hit the target precisely during hunting game. Not the end here, if you go through the below SAS courage recurve bow reviews, you will amaze why we tell it is a premium bow. Courage 60 is a hectic bow with high comfort levels for an archer. This comfort comes from its well finished and sturdy handle of the riser. Best quality hard wood like Bitangor, Makore, and Chuglam made the riser strong enough to withstand against any abuse as well as allow a bow hunter to shoot with amenity. The riser is available both in the left hand and right-hand orientation. However, before purchase, you have to careful to select the appropriate direction. If you hold the riser with the left hand and shoot arrows or pull the string with a right hand then you need right-handed version and vice versa. The stylish black color courage 60 limbs made of wood with high strength fiberglass face. SAS use two different types of wood – Maple and Makore to build the bow arms sturdy as well as flexible enough to save you from the break. Like other high-end bows Courage wooden bow also takedown in nature which makes it comfortable to carry during traveling. It also allows you to change the limbs with other SAS limbs with the same size. However, tips do not come with reinforcement that may not let you use the Fast-Flights strings. 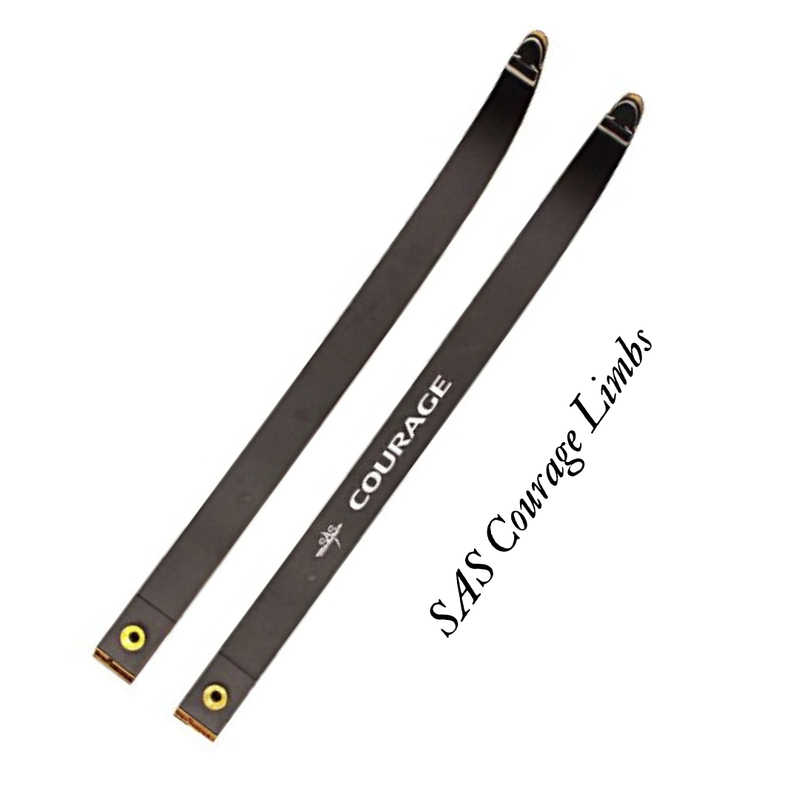 SAS courage recurves bow entirely prepare for hunters. Shorter but flexible limbs with a sturdy riser of courage commence with six different sizes, and the higher draw weights 45 to 60 pounds are the perfect sizes for any hunting games. However, the lower poundage 35# and so no design to think about the novice archer too. So, before buying you have to determine your draw length and draw weights, every option automatically presented in front of you by the Southland Archery Supply. In my opinion ‘Performance of a bow’ means the physical ability and act of completing the task by its. In our previous features, we talk details about the physical aptitudes of courage 60 that is about riser and limbs. Now we like to tell about its ability to execute any tasks. Shooting to the point either it is live animal or printed board, the bow should be accurate enough to do its jobs correctly, and courage 60 have that attributes. Moreover, the latest vibration dampening technology and quiet make it more admirable among the archers. The elegant design and comfortable grip also help you to aim the target without any extinctions. 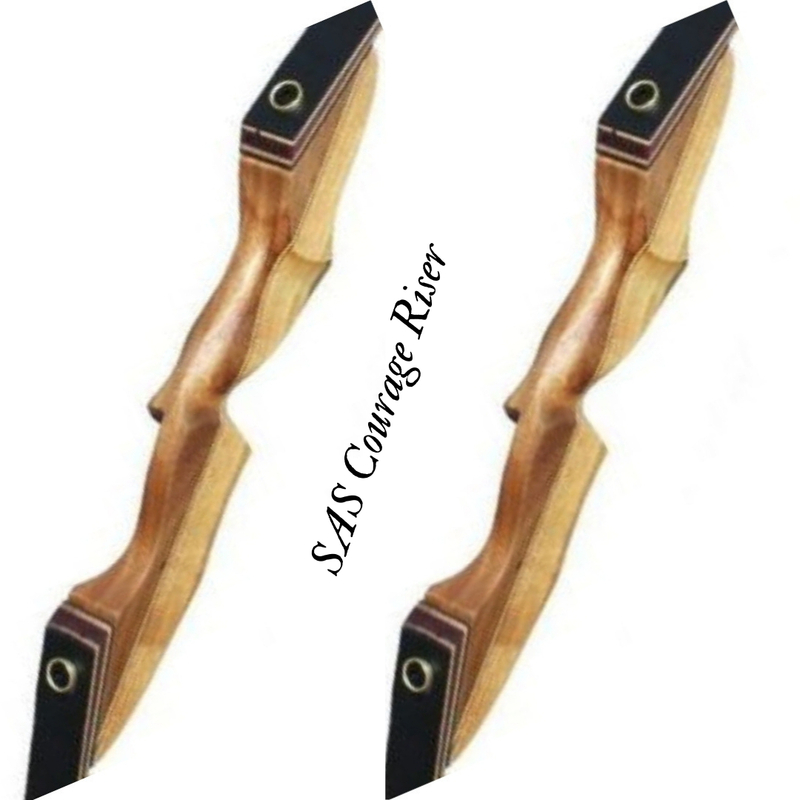 The SAS Courage is one of the low budget wooden recurve hunting bow in the market. In spite of its low price, it tries to ensure best quality bow to the customer. Because of that, it includes nothing in its box except the bow itself, a string and a rug rest. It will also not come up with the pre-drilled condition to allowing any attachments. Hence, the bow is bear recurve bow, but it does not mean that you cannot attach anything with it. With the help of professional, you can make a hole on it to fit any attachments to enjoy your archery carrier. Q1: Does it supply arrow rest? Ans: Yes. The box contains a rug rest. Q2: Does it come up with string? Ans: Yes. It comes up with a string? Q3: Is it a silent bow? Ans: Yes. It is silent enough compare to other bows. However, for hunting, you can use a silencer to make it quieter. Q4: What is the perfect arrow size for this bow? Ans: Oh. It depends on your draw length. For example, around 30 inches might be the perfect dart length for the draw length 28 inches or less. Q5: Does it contain any kisser or knocking point in the box? Ans: No. There is not a knocking point in the box. You have to collect it separately from the market. Old iterations come without pre-drilled to allow stabilizer, arrow rest or sight/quiver. PSE Razorback is an excellent bow for a beginner with 62-inch bow length it allows archers whose body height not more than 5’7’’. It made of Walnut, Burma White Wood and Beechwood riser and Maple wood/fiberglass laminate limbs. It comes with Stabilizer and sight bushings. You will like this bow if you are adult women or young archer as it presents only one size 30#. However, Courage will give you a wide range of option with all high-end features. The only difference is a stabilizer and sight bushings. So, it is your turn to decide the bushing is a deal breaker for courage or not. Spyder from southwest archery and courage from southland archery, in short, both are from SAS, little fun. The most significant advantage of Spyder is it designed and developed by Sage designer. Sage is a well-established great bow. So, you can easily imagine the quality and performance of Spyder. On the other hand, Southland is pretty new in the archery industry. However, they grab a significant position among archery lovers. Regarding features spyder come up with 64-inch length, 30-55 pounds draw weights and all necessary accessories. So those who love extra length and features and not hesitate to spend a bit more can go for Spyder without any doubt. This SAS Courage Recurve Bow model archery bow is a sturdy and efficient bow for professional as well as the beginner archers. Though it has some limitation like absent of bushings for fit attachment, it indeed a great bow regarding comfort, stability and more precise shooting with excellent arrow speed.